Grids link together computers, data, sensors, large scale scientific instruments, visualization systems, networks and people. They can provide very large pools of computer resources, enable distributed collaborations and deliver increased efficiency and on-demand computing capabilities. The complexity of Grids on one hand and the requirements towards performance and capability on the other hand call for efficient resource management and scheduling mechanisms. Such mechanisms must take into account not only the hardware and software resources, user jobs and applications, but also policies of the resource owners. Policies usually describe cost models for the resource usage, security mechanisms, quality of service of resource provisioning etc. The problem of scheduling jobs in real Grid environments is very difficult. Due to lack of time characteristics of jobs, and difficulties in characterizing the overall system, traditional OR techniques usually fail or achieve very weak results. Usually, best effort scheduling is the best option. There are, however, some ways to deal with the problems described above. 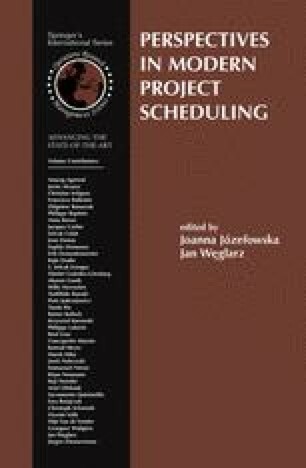 The main goal of this paper it to present some practical issues of scheduling Grid jobs. Methods and techniques described in the paper are used in a Grid scheduling system, called GRMS (Grid Resource Management System) developed at Poznan Supercomputing and Networking Center. GRMS is widely used in many Grid infrastructures worldwide.